“Symbolically, our look is the one of the caravan. To live in a caravan, it is to live in human scale. “A caravan is a cocoon which protects disorders of all kinds (the money, the time but a frail enough cocoon to remind us that we remain at the mercy of the aforementioned disorders. It is to remain wheels on earth, in contact with nature, with the seasons which infiltrate, summer and winter alike, up to the inside. It is to want to live with the warmth, the cold, the rain, the noise. It is also a way to assert its identity. To Aubervilliers or on roads, we are recognizable. It is not a question of offering the show of a “Bohemian life” or I do not know which other pouncing cliché, it is a question of living ” in human scale”. I was able to experience close sensations in a very different context of tour, in Japan, where everything is designed so that the living space is at hand, where everything has its reason, in a kind of esthetics of the minimum. To live with horses that’s it, it is in a way to live on Earth without losing sight of it, it is simply to adapt itself to the nature, to the immediate environment that she proposes, it is to refuse to ignore it by not living in disinfected bubbles air-conditioned in constant temperature. If living in a caravan all year is doubtless a discomfort for the greater part, it favors for me a rhythm in agreement with the life. Certain discomfort is necessary as well to live than to create. The body needs it. Need to be cold or to be hot. Or if it is of the discomfort, at least a different shape of well-being, more physically in sync with the nature. The quest of the comfort is in reality only slow and insidious one separation, apparently painless, from the nature. The caravan of Bartabas is an “Assumption”. After World War II, the Rennes Assumption bodybuilder caravans conceived of a new style and very luxurious for the people of wealthy travelers. These caravans were worth the price of a nice house. All directors of major circuses of the time were done to theirs because they were custom made. 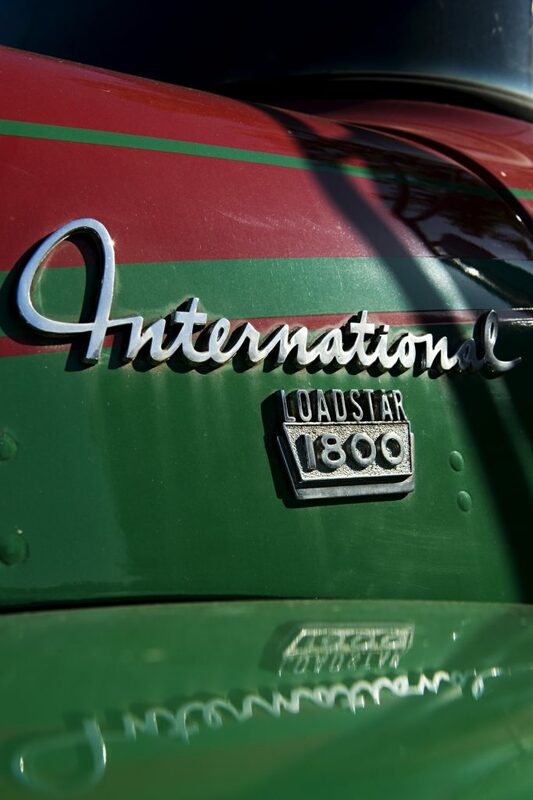 The International Harvester Loadstar is a series of medium and heavy trucks, they were built by International Harvester from 1962 to 1979. The Loadstar was mainly used for local delivery, construction and agricultural activities, as well as utilities and firefighters.